...it is with awe and the circumspection proper to them, that we should conduct all our dealings with one another, all friendships, all loves, all play, all politics. There are no ordinary people. You have never talked to a mere mortal. Nations, cultures, arts, civilisations - these are mortal, and their life is to ours as the life of a gnat. But it is immortals whom we joke with, work with, marry, snub and exploit - immortal horrors or everlasting splendours. CS Lewis, from his sermon "The Weight of Glory"
We talked about this in Bible study last year. That it isn't just Christians who have eternal life. Every human will live for all eternity. The issue is where and how that eternity will be spent. This is a sobering thought for all and helps me to think about how to best spend my days. Over the last two or three years I have read and reflected on the subjects of suffering, death and grief quite a lot. And it's been helpful. But with all that energy, enthusiasm and optimism that comes with the beginning of a fresh new year I had thought that maybe this year I should shift my gaze to life and living. You know, eating hot cross buns eight days into the year and other crazy stuff like that. Yet, twenty days in and I had read two books on grief and been reminded of a third - Timothy Keller's Walking with God Through Pain and Suffering published last year - to acquire and read. 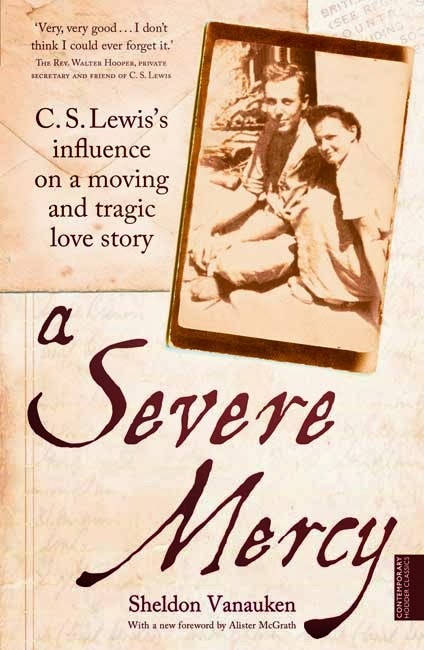 The first two, predictably, were A Severe Mercy by Sheldon Vanauken and A Grief Observed by CS Lewis. Both are beautifully written, personal accounts of grief following the deaths of their respective wives. Without giving names to them, they write their way through what we know as the stages of grief - stages that don't pass in orderly fashion but that swirl around and around, being revisited time and time again - painfully, frustratingly and sometimes even comfortingly. And no one ever told me about the laziness of grief. Except at my job - where the machine seems to run on much as usual - I loathe the slightest effort. Not only writing but even reading a letter is too much. 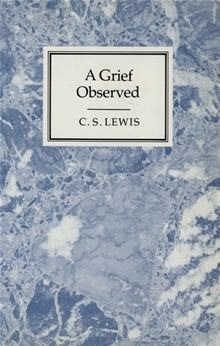 What I found especially helpful was reading about that time in grief that Vanauken calls "the second death" - and which CS Lewis described in his book in depth. It's that moment in grief when it stops being so very raw. When there aren't tears every day. When maybe it's harder to bring a clear picture of the one lost so readily to mind or recall the exact tone of their voice. It is the second death - and it feels all disloyal and like a betrayal. And yet, it is getting through this step that leads to peace and acceptance. Great books to read for their sheer beauty, to keep learning about grief and how to respond to it in a godly way and perhaps to share with someone who has reached that point of frustration in their grief and needs to give words to what is happening, see that it will pass - which is OK - and be assured that they will emerge from it all, albeit as a changed (hopefully stronger, richer) person from the one who stepped into the process. Every year the United Nations declares it to "the International Year of ___ (fill in the blank)." A year to raise awareness and celebrate particular causes. This year it's the International Year of Small Island Developing States and the International Year of Family Farming AND the International Year of Crystallography. Since starting this blog, I've given each year a designation as well. 2009 was the Year of Optimism and the Year of the Garden. 2010 was the Year of the Roast. 2011 was the Year of Five New Things. 2012 was the Year of Praying for my Friends. And 2013...well, 2013 didn't get a name. Maybe it was the Year of the Strawberry Meringue Stack. 1. The Daily Bible Reading plan. 3. Learning how to use a slow cooker. Once the weather cools down I will be calling for your best slow cooker recipes. Get them ready. And there's a handful of plans and ideas brewing, not yet Internet ready. So there is to be no naming of the year as yet. That will perhaps come later. That said, twelve days into the year, I find I have five books other than the Bible on the go at the moment. Two on the go is abnormal for me. I'm not quite sure what's going on here. Short concentration span? And not two days after Deb's post on hot cross buns I found myself at a friend's house eating one. With real butter. It was delicious. I'd barely dusted off the fruit mince pie crumbs. So maybe it will be the Year of Outrageousness...in my own mild mannered way. Time will tell. 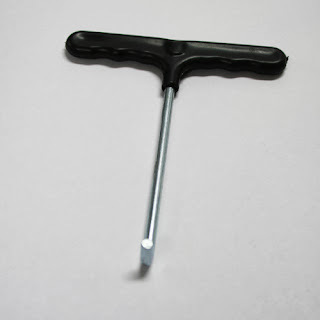 ...a trampoline spring tool. This handy little tool enabled me to put the new mat on in ten minutes without giving myself a hernia as opposed to the last time when it took more than half an hour and was, shall we say, a tad exhausting. I may not have many more trampoline mats to replace in my lifetime as a mother of boys who are not so small anymore. But even if I only use it one or two more times, it was a worthwhile purchase. Don't change a trampoline mat without a trampoline spring tool. You can borrow mine if you need one.